1) Identify the circuit mechanisms by which the brain generates representations of space and time. 2) Determine how temporally organizing spiking and inter-regional coherence support memory. 3) Examine how extra- and intra-hippocampal circuits support retrieval of previously stored contextual memory representations. 4) Characterize how aging and Alzheimer’s pathology impact spatial coding and spatial memory retrieval in the entorhinal-hippocampal circuit. We use single-unit electrophysiology and calcium imaging techniques to record from large populations of neurons in these memory circuits as animals perform a variety of behaviors, from simple foraging in an open field, to solving spatial memory tasks in a T-maze or in a virtual reality paradigm. We use a variety of transgenic mouse lines to perform cell-type and circuit-specific optogenetic control and imaging experiments. This combined strategy has great potential to understand how memory works on the neuronal circuit level and will help to guide new efforts in the search for therapies to restore memory in dementia and Alzheimer’s disease. Brandon MP, Koenig J, Leutgeb JK, Leutgeb S. (2014) New and distinct hippocampal place codes are generated in a new environment during septal inactivation. Neuron May 21;82(4):789-96. Brandon MP, Bogaard AR, Schultheiss NW, Hasselmo ME (2013) Segregation of cortical head direction cell assemblies on alternating theta cycles. Nature Neuroscience Jun;16(6):739-48. Brandon MP, Bogaard AR, Libby CP, Connerney MA, Gupta K, Hasselmo ME (2011) Reduction of theta oscillations dissociates grid cell spatial periodicity from directional tuning. Science Apr 29;332(6029):595-9. Brandon MP, Bogaard AR, Andrews CM, Hasselmo ME (2011) Head direction cells in the postsubiculum do not show replay of prior waking sequences during sleep. Hippocampus Mar;22(3)604-18. Hasselmo ME, Brandon MP, Yoshida Y, Fransen E, Giocomo LM, Heys J, Newman E, Zilli E. (2009) A phase code for memory could arise from circuit mechanisms in entorhinal cortex. Neural Networks Oct; 22(8):1129-38. Hasselmo ME, Brandon MP. (2008) Linking cellular mechanisms to behavior: Entorhinal persistent spiking and membrane potential oscillations may underlie path integration, grid cell firing and episodic memory. Neural Plasticity (658323). Dr. Brandon obtained his Ph.D. in Neuroscience from Boston University in 2011, where he worked in the laboratory of Dr. Michael Hasselmo. 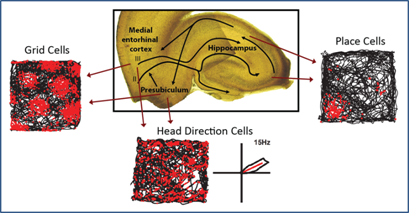 Here, he studied the neural system for spatial memory and navigation in the entorhinal-hippocampal circuit. Notably, Dr. Brandon made the exciting discovery that grid cells in entorhinal cortex require input from the medial septum, a basal forebrain structure that supports the theta rhythm and undergoes degeneration in Alzheimer ’s disease and temporal lobe epilepsy. Dr. Brandon then studied as a postdoctoral researcher in Dr. Stefan Leutgeb’s laboratory at the University of California, San Diego. He received an NIH NRSA postdoctoral fellowship to study the circuit mechanisms in the medial septum that contribute to temporal and spatial coding in the entorhinal-hippocampal circuit. Dr. Brandon pioneered the combination of hippocampal recordings during medial septal optogenetic stimulation in freely behaving transgenic mice.  In 2015, Dr. Brandon was recruited to the Douglas Hospital Research Centre and McGill University as Assistant Professor to establish a new laboratory to continue his research on temporal and spatial memory coding in the entorhinal-hippocampal circuit in health and disease. Zutshi I, Brandon MP, Fu ML, Donegan ML, Leutgeb JK, Leutgeb S. Hippocampal Neural Circuits Respond to Optogenetic Pacing of Theta Frequencies by Generating Accelerated Oscillation Frequencies. Curr Biol. 2018;28(8):1179-1188.e3. Hinman JR, Brandon MP, Climer JR, G Chapman W, Hasselmo ME. Multiple Running Speed Signals in Medial Entorhinal Cortex. Neuron. 2016;91(3):666-79. Kraus BJ, Brandon MP, Robinson RJ, Connerney MA, Hasselmo ME, Eichenbaum H. During Running in Place, Grid Cells Integrate Elapsed Time and Distance Run. Neuron. 2015;88(3):578-89. Schlesiger MI, Cannova CC, Boublil BL, Hales JB, Mankin EA, Brandon MP, et al. The medial entorhinal cortex is necessary for temporal organization of hippocampal neuronal activity. Nat Neurosci. 2015;18(8):1123-32. Raudies F, Brandon MP, G Chapman W, Hasselmo ME. Head direction is coded more strongly than movement direction in a population of entorhinal neurons. Brain Res. 2015;1621:355-67.